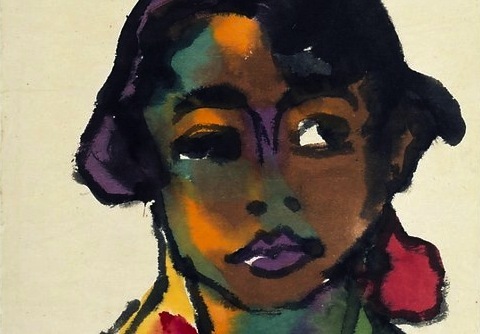 The Ernst Barlach Haus currently presents the exhibition Emil Nolde. 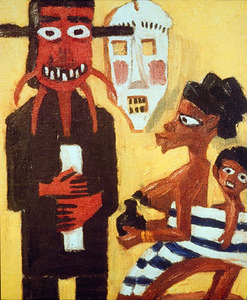 Dolls, Masks and Idols – a fascinating chapter in the work of the North German South Sea voyager Emil Nolde (1867–1956): his still lifes of masks and figures. The exhibition shows the famous painter as an enthusiastic collector, who brought together craft objects from around the world and transformed them into magically vivid images from 1911 onwards. Cryptic and often humorously arranged, Nolde’s still lifes overstep the boundaries of painterly conventions and cultural differences – a hitherto little known and astonishingly cosmopolitan aspect of his art.